While my husband and I love camping, I wouldn’t call us avid campers. Rather, we’re just regular folks who camp a few weekends a year to get out of the city. 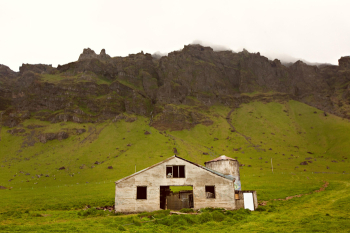 Instead of camping locally we decided to take our gear overseas and camp along Iceland’s Ring Road. 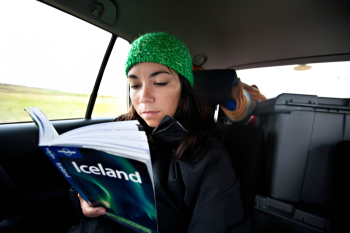 Iceland had been on my “wish list” for a couple of years and after reading all about the Ring Road I thought it would be the perfect camping adventure! We began our Icelandic trip with a dip in the Blue Lagoon. It was nice to get off the plane and soak in the thermal water before heading into Reykjavik. We didn’t spend too long in the city but mostly grabbed a few supplies for the road, visited shops, parks and churches and chatted with the locals. Scandinavians are very friendly and were kind enough to map out a few hidden gems along Rt. 1 for us. We started our trip east towards the Golden Circle. 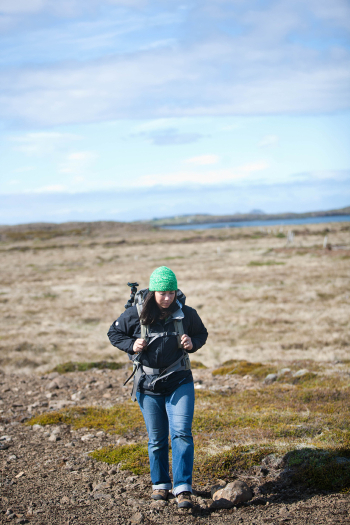 This was probably our longest day on foot, hiking up waterfalls and through Thingvellir National Park. The Ring Road travels through some of the most beautiful scenery I’ve ever seen. Even though we had marked certain places to stop at on the map, we found ourselves making pits stops often. There were just so many waterfalls, mountains, troll houses and horses to look at along the way. We were trying to do the Ring Road in nine days, however if you can stay longer I recommend two weeks for the trip. Needless to say we had a bit of a schedule to keep to and this was when traveling to Iceland in the summer with 24 hours of light worked to our advantage! Other than paying attractions, most sites do not close. We were able to visit places at 11pm when it looked like 3pm! On top of that, when we were visiting late at night we were typically the only ones around. Being the only person on top of the magnificent Godafoss is a memory I’ll always remember! One of our favorite spots we visited was Jokulsarlon. It’s a lagoon full of blue drifting icebergs. We took a boat tour through the lagoon and got up close and personal with the icebergs. Just across Rt. 1 from the lagoon is a black sand beach full of washed up icebergs that had drifted out to sea at one time. It was very cool to walk through and see the ice on land. Myvatn was another favorite spot of ours. 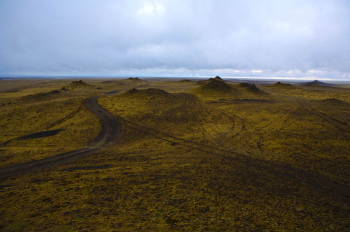 Our time there was spent on foot hiking up Hverfell and roaming through lava fields. 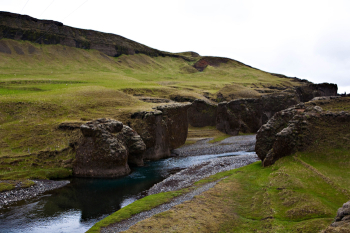 A local had told us about a thermal bath, Grjotagja, in a watery fissure that we should visit. Tourist books will tell you it is too hot to bathe in, but locals disagree. It sounded awesome so we followed his handwritten directions to the cave. We climbed down a few feet into the dark cave and used our flashlights to light the crystal clear water beneath us. The water was hot but after camping in the cold for several days without a shower, it felt amazing! 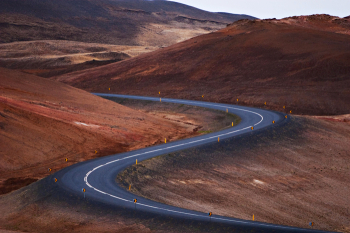 Getting around Iceland was very easy. We stayed on the Ring Road for the majority of the trip with a few trips off the beaten path here and there. Towns were typically far apart so sometimes we’d be on Rt. 1 for a couple of hours before we’d ever pass another vehicle. Camping was really easy as well. Most cities offered a few different campgrounds so availability was never an issue for us. All in all, the trip was amazing. I would highly recommend it to anyone and advise that about two weeks would be a good enough time to fully experience the entire adventure! Did you “free” camp along the Ring Road? If so, was it fairly easy to find a spot to pitch your tent? My friends and I are planning a camping trip to Iceland in April and I was wondering the same question as Yvonne.. 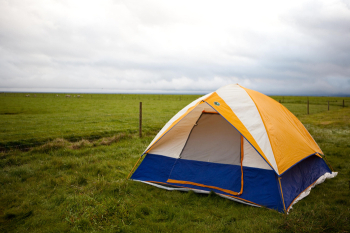 Were you able to pitch your tent anywhere, or did you stay at a campground each night? What month did you go? Do you have any tips or advice? Things you wish you would have packed and did not? HI..WOULD LOVE TO DO THE SAME … INTERESTED IN ANSWERS TO JENNY STOKES QUESTIONS … HOW MUCH WAS IT TO RENT A CAR? Would you be willing to tell us how to get to Grjotagja,?? ?